Top-class pilots were crucial to the survival of Great Britain during the dark days of the Blitz, and playing a vital role in fending off the German attack were the women's section of the Air Transport Auxiliary, a close and dedicated circle of female pilots. In the midst of events that would shape history, these women risked their lives to ferry aircraft day and night from factory to the arena of war, and lasting friendships were born. Together, Edith Allam and her fellow pilots faced Nazi terror, class prejudice, and the forbidden romances of wartime - yet their remarkable strength carried them through. 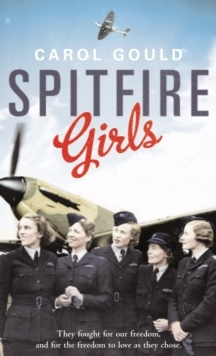 Spitfire Girls evokes all of the drama of this extraordinary period of history, and is a tribute to the heroism of these brave women, without whom the Battle of Britain might never have been won. Truly inspirational, it is the tale of adventure, courage and the relationships that shape all of our lives.